Rob was PhD student in the lab from 2014 to 2016. He studied the role of microRNAs in viral infection of Drosophila. He is now a chemistry teacher. Erika was postdoc in the lab from 2014 to 2016. She studied biogenesis and function of piRNAs in Aedes aegypti. She is now postdoc in the lab of Sebastien Pfeffer in Strasbourg, France. Sarah defended her PhD thesis ‘Resistance and tolerance to virus infection in Drosophila’ on January 2016. She moved on to study mosquito-virus interactions as a postdoc in the lab of Louis Lambrechts at Pasteur Institute. Koen was a postdoc in the laboratory. He studied different aspects of antiviral RNAi and identified novel inhibitors of Dengue virus. He now works as a senior scientist at AMD Animal Health. Walter defended his PhD thesis ‘Small RNA-based antiviral defense in insects’ on Nov 21, 2015. He now studies small regulatory RNAs as a postdoc in the lab of Rene Ketting at the Institute for Molecular Biology in Mainz, Germany, funded by an EMBO long-term fellowship. Joël was the first PhD student to join the lab. On Jan 10, 2014, he defended his thesis ‘Viral suppression of antiviral RNAi in insects’. He is now a senior scientist at Micreos Food Safety. Minh joined our lab as a MSc student for an internship from Jan – July 2009. After her graduation, she joined us again for a few months (April 2011 – July 2011). She is now a PhD student at the dept. of Human Genetics, Radboud University Nijmegen Medical Centre. Rebecca Halbach, Univ. Hamburg, Germany, 2016 (currently PhD student in the group). Lotte Tholen, Molecular Mechanisms of Disease – Radboud University, 2016. Elske Bijvank, Biomedical Sciences – Radboud University, 2015. Suzanne Huntink, Molecular Life Sciences – Radboud University, 2015. 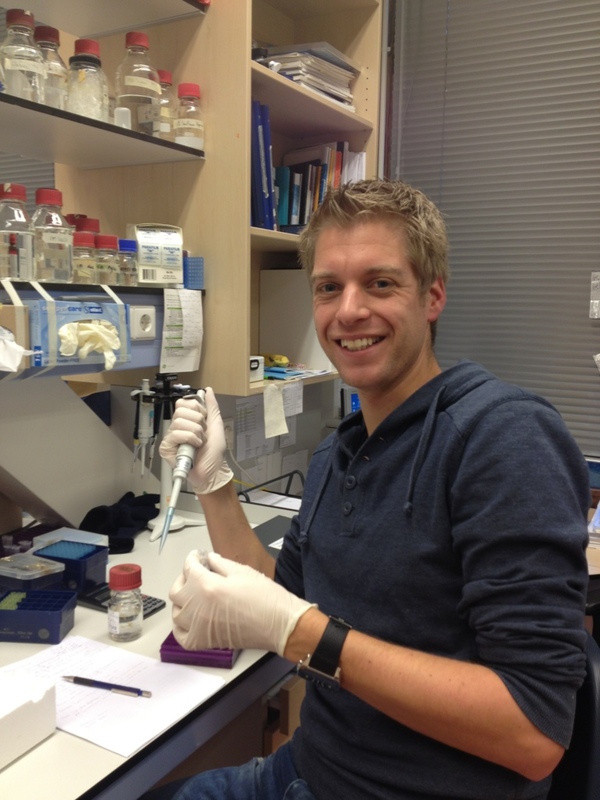 Joep Joosten, Biomedical Sciences – Radboud University, 2014 (currently PhD student in the group). Kyra Hermanns, Univ. Bonn, Germany, 2014. Fabienne Cremers, Medical Biology, Radboud University, 2014.